Writing about the frugal things I’ve done each week has reminded me about the many small things I do to spend less, while still making the most of our move to the country. So I’m very grateful to Cass at Diary of a Frugal Family, Becky at Family Budgeting and Emma at Emma’s Savvy Savings for starting the blog linky, so thrifty bloggers can share their money-saving measures. If you’d like to join in, check out their blogs for the details. 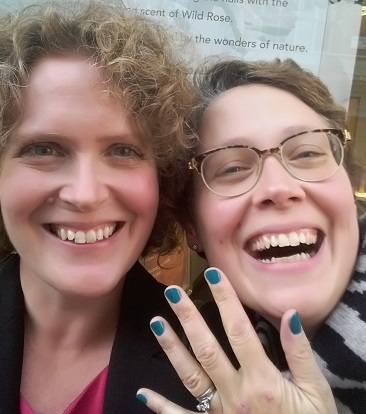 This was a really unusual week for me, as I headed out of Hadleigh for a trip to the cinema and an amazing outing with my sister. Certainly made a change from the normal school run routine. I often nip into the Co-op straight after dropping the children at school, to buy milk and check out the reduced shelves. The staff seem to mark down short-dated food first thing in the morning, so 9am is a good time to look. Buying cut-price food means I can stretch the family budget further, and include more exotic (read expensive) items than normal. I only buy marked down fruit and veg if I think we can eat it in time. However, yellow-stickered meat and fish can go straight in the freezer to eat later. 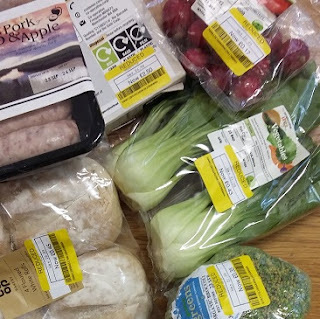 On Friday, I picked up some radishes for 17p, a couple of pak choi for 43p, some organic broccoli for 38p, four floury rolls for 45p and locally sourced pork & apple sausages for £1.50. I’m a bit suspicious of the content of some sausages, so would prefer to get fancy sausages half price from the Co-op than spend the same amount on cheaper ones. Even though I usually make our own pizzas, I also spent £2.50 on a half price fancy pizza. It will come in handy for a night when I’m away or run out of time, effort and energy. 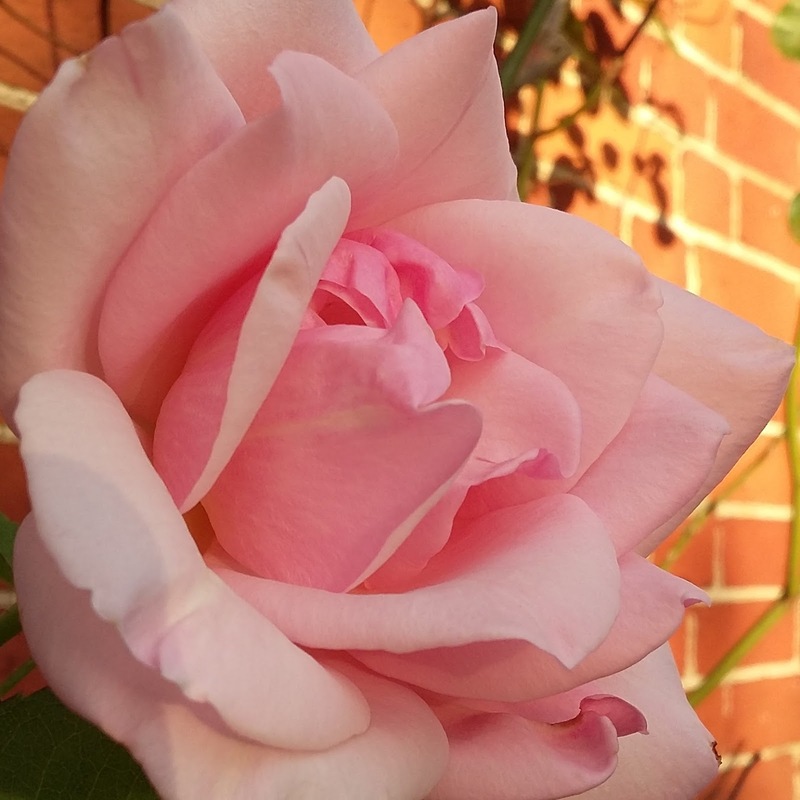 One single rose still flowering on the climber by the back door. OK, so I’ve stretched the definition of ‘flower’ to include trees, leaves and fruit, such as pears in the secret garden or the grapes outside the kitchen window. Noticing the sunlight through blossom, or the shadows cast by leaves, has brought enormous pleasure without spending anything at all. This week, I’ve been enjoying the odd solitary rose still blooming in late September. Do come and follow me over on Instagram, if you’re interested. 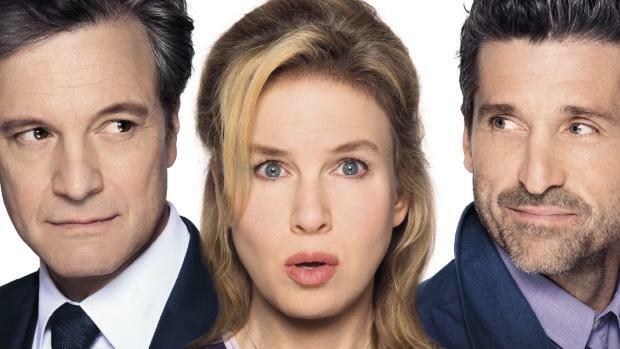 Bridget Jones’s Baby: good film, great airbrushing. Heading off to the cinema is hardly a frugal activity. Usually we watch films on Freeview, borrow DVDs from the library or go to a cut-price children’s showing first thing in the morning. I can’t remember the last time I went to the cinema to see something that wasn’t child-friendly. However, when a group of mothers suggested watching the new Bridget Jones film, I was far too excited to wait for it to come out on DVD. #TeamDarcy all the way. I volunteered to book the tickets, which meant we could all benefit from the Cineworld discount if you register and book online. It cut the price per ticket from £10.90 to £9.88. A small saving, but I’m clutching at the fact it all adds up. I used to have a pretty hefty magazine habit. Unfortunately, when I started a spending diary it was clear how the price of those glossy tomes escalates. Now I’ve pretty much gone cold turkey, but if I buy magazines at all, I look out for special offer subscriptions. Earlier this year, I signed up for £1 trial subscriptions of three issues each of Simply Sewing and BBC Homes & Antiques, and a whole £3 for 3 issues of Mollie Makes. My fiver bought 9 magazines that would otherwise have cost £47.91 from the newsagent. 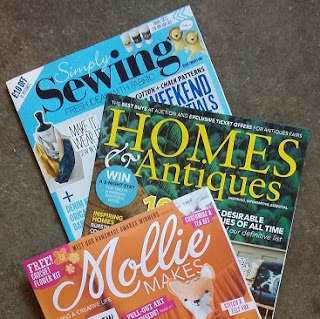 Good value, I reckon, especially as Simply Sewing and Mollie Makes come with free gifts like craft kits or sewing patterns. The catch is that you have to sign up by Direct Debit. If you forget to cancel well before the end of the trial period, WHAM you get hit by a full whack subscription for several months. So when I subscribed, I put a note on my calendar a week or so before the first big payment. My frugal act this week was to spot the reminder and ring to cancel all three. My sister and I, cackling away. I’ve saved this one until last, as it’s still a bit “don’t pinch me, I might wake up”. If you follow me on Twitter or Instagram, you might already have seen some photos. Ever the optimist, I happily enter competitions here and there. I don’t mind handing out contact details in the hope of winning a holiday in Crete, a crate of wine or whatever. A quick click, a brief dream, and on with the rest of my life. But every so often, they come good – like when I won tickets to see Blur in Hyde Park after filling in a survey about charity challenge Live Below the Line. I have the cheapest possible subscription to the Times and Sunday Times, so I can read the articles locked up behind the paywall. Each week, I click to enter prizes offered in the weekly email to subscribers. Amazingly, I actually won one. Even more amazingly, it consisted of a manicure and pedicure. With dinner, breakfast and a hotel stay in London. For two! SO MANY CHEERS! Anyway my sister lives in Edinburgh and I don’t see her very often, so I took her as a belated birthday present. We booked the prize for last weekend, as she was coming to London for a wedding and I could arrange a work meeting beforehand. My husband bravely volunteered to field the children. My sister and I cackled solidly during the treatments, raved about the goody bags, toasted everyone in sight during dinner, slept briefly, and then chatted continuously the next morning too. The point when the waitress warned us they were running low on lobster and said: “No really, cocktails and wine are included in the the meal too, whatever you like” was a particular high point. So no this post isn’t remotely sponsored but many thanks to Margaret Dabbs for the unbelievable prize, and everyone at The Marylebone for looking after us so well. For the cost of train tickets and some tips, it was the most luxurious frugal weekend I have ever spent. I fear I am unlikely to be a repeat customer, but as a one-off living a ridiculous life it was brilliant. But don’t worry, on the way home I ended up on a rail replacement bus to Witham, so it’s all back to normal now. Anyone else got some frugal savings to celebrate this week? Have you ever enjoyed winning a competition? I’d love to hear! Hi Just a tip if you like magazines but cant afford or are to mean to pay for them like me go to the Essex library website and you can down load and read Lots free. Great to hear about your competition win – sounds fab! Thanks Madeleine – the competition prize really was fab. Bit of a shock to the system as so different from my normal daily life! Wow, what a great competition prize. I've recently started filling in those customer service surveys that shop assistants prompt you to complete when they give you your receipt. Not won anything yet, but I live in hope of a decent prize winging its way to me. Well done on your win, I enter competitions but it has been dry recently, looking forward to all the christmas ones. Will keep my fingers crossed for your Christmas entries! For your magazines habit, have you heard of Readly? I think it's about £6 a month and you can get hundreds on your phone or tablet. There's a free trial so you can check it out but I was really surprised by the number of magazines that I would read on there. Ready sounds a great resource, thanks Cass! I do miss actual glossy paper magazines sometimes though, so the trial subscriptions come in handy for the occasional fix. Readly not Ready. Sometimes autocorrect is not my friend. Oh wow, what an amazing prize. My best ever win was many years ago – I got to go to the BAFTAs with my other half including the dinner afterwards and a night in the Hilton on Park Lane. Have been entering comps ever since then and had some wins but nothing ever comes close to topping that. Your BAFTA win does sound amazing, and very glamorous too! Good luck for the future. I always reckon someone has to win these things, so if an entry is quick and free I might as well.